While losing weight isn’t something that happens overnight, doing some prep work the night before can make all the difference when you step on the scale. If slimming down and becoming healthier are two goals at the top of your priority list, here are four must dos to make part of your weeknight routine. Not planning ahead is one mistake nutritionists agree causes weight gain. 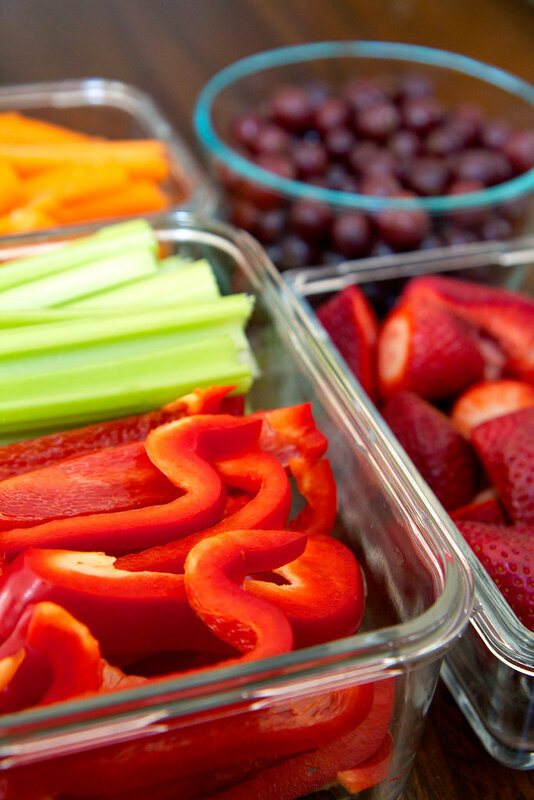 You can avoid the temptation of eating countless calories at the local cafe by packing a lunch from home. When made right, salads are great because they’re full of fiber and protein to satisfy hunger and keep blood sugar steady. 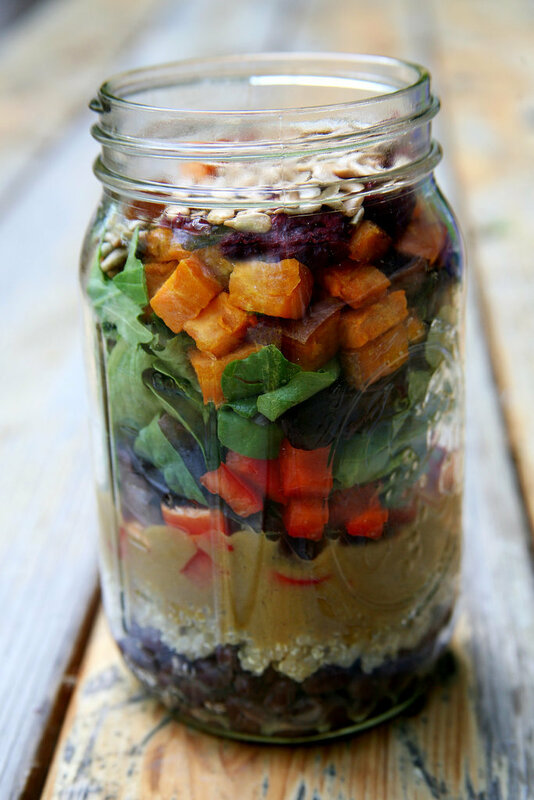 Prepare a salad in a mason jar like this roasted sweet potato and quinoa salad, or make extra for dinner and bring along this sesame ginger quinoa salad. 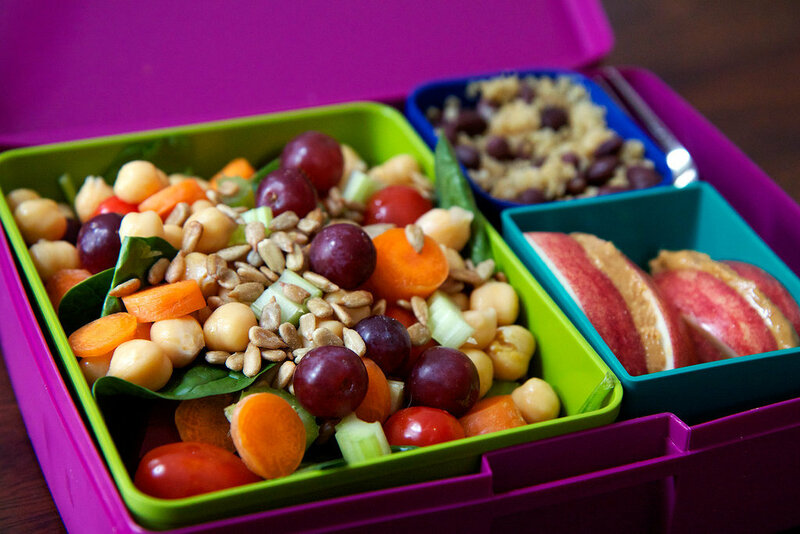 Whatever you choose, it’s much easier to add up the calories on lunches you pack from home. And when it’s made the night before, there’s no morning stress or forgoing it altogether because you don’t have time. Go the distance and pack snacks, too, and put everything in the actual lunch bag, so when it’s time to head out for the day, you can just throw in an ice bag, grab it, and go. After lunch is in the bag (literally), take a little time to prepare tomorrow’s breakfast. Eating breakfast is one way to jump start your metabolism, and if it’s full of fiber and protein, you’ll feel satisfied all morning long — hunger- and energy-wise — which eliminates the urge to snack on more calories. Instead of grabbing a quick bowl of cereal, a sugar-laden scone at the local coffee shop, or (gasp!) skipping out on breakfast altogether because you’re rushed, making breakfast at night will save time and calories. 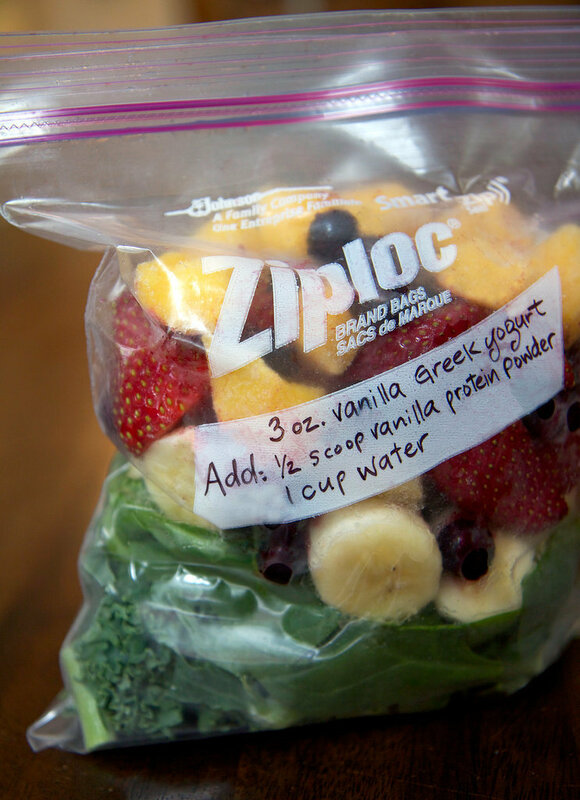 If smoothies are your thing, premake these freezer packs, so you can throw them in the blender and be slurping down your first meal at the kitchen table or on the go. Overnight oats are also extremely filling, or go for this apple cinnamon quinoa bake. In the mood for something different that has debloating powers? This chia seed pudding makes mornings delicious. Once breakfast is made, you’re also more likely to wake up energetic and excited. Skip the fitness gear morning roundup by getting everything you need for your workout ready the night before. 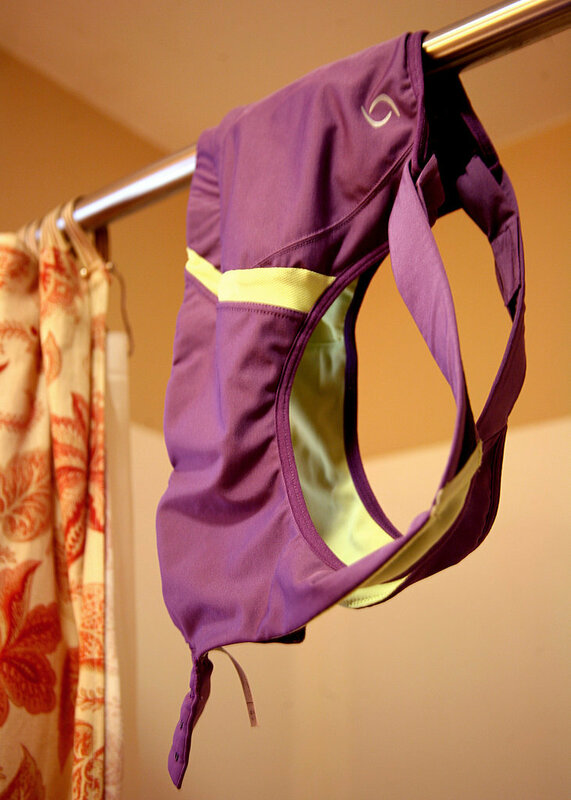 If your sports bra is drying over the shower rod from your earlier workout, grab that, your tank, shorts, socks, sneaks, sunglasses, iPod armband, earbuds — everything you need — and lay it out or throw it in your gym bag. Calorie-burning workouts are much more likely to happen if you deliberately take the time to prep for them. And if you make this a habit every night before a workout, you’re more likely to get in the rhythm of a regular exercise routine. You don’t want to undo all the good you did for the day by coming home tomorrow night starving and throwing together a quick and probably not-the-healthiest meal. So now that tomorrow’s lunch, breakfast, and workout gear are all set, take a little time to prep for tomorrow night’s dinner. Cut up some peppers, zucchini, and sweet potatoes to roast or grill later. Or make an enormous salad, cook up some whole grains like millet or barley, soak quinoa to make this quinoa pizza crust, or get this spaghetti squash “pasta” bake in a dish and store it in the fridge so it’s ready to cook up for tomorrow. If you don’t feel like spending anymore time in the kitchen, even taking 10 minutes to plan what you’re going to eat is half the battle — here are dinner recipes under 500 calories. It’s 100% Possible to Change Your Abs in One Week!